Having long-since spread beyond the manufacturing sector since its introduction in the mid-1980s, it’s estimated that more than half of all Fortune 500 companies and greater than 80 percent of Fortune 100 companies are using Six Sigma processes to improve business operations. Beyond that, benefits of Six Sigma to reduce variation, improve output predictability, increase customer satisfaction, and sustain improvements are being realized in health care, financial services, various service industries, as well as many facets of the public sector. 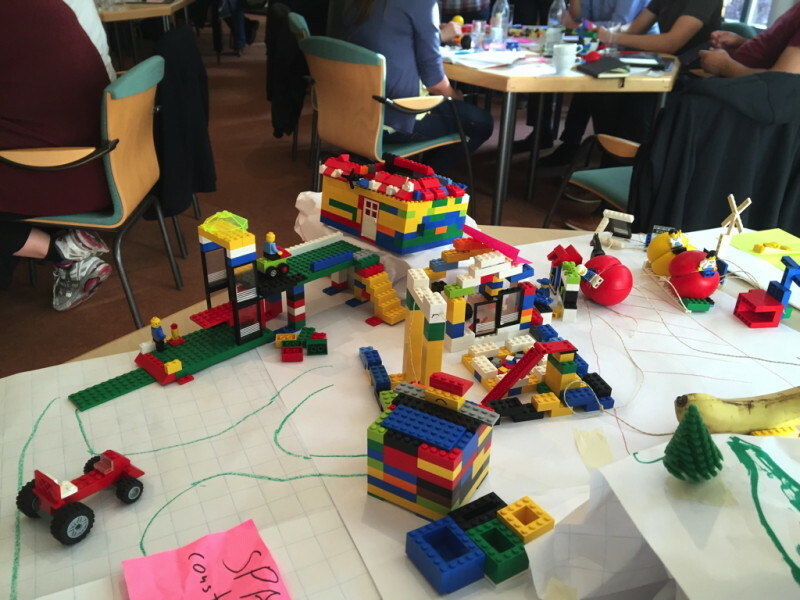 This article explores how one specialized facilitation process, LEGO® SERIOUS PLAY® (LSP) is ideally suited to support Six Sigma work in organizations who embrace this highly effective and structured team approach to quality improvement. Exactly how LSP supports Six Sigma quality efforts becomes very clear when looking at the five phases of Six Sigma—Define, Measure, Analyze, Improve, and Control (DMAIC). As the first, direction-setting step in the Six Sigma process, teams create a problem statement (identify what needs to be fixed). Role of LSP: For obvious organizational problems for which there is plenty of data to support, no intervention may be necessary; however, it is well-acknowledged that developing clear and accurate shared mental models is one of the most difficult challenges of teamwork. In these cases, LSP is ideally suited to ensure the Six Sigma team begins with a shared understanding of the problem to be addressed. In addition to data collection that helps establish baseline measures and understand root cause during the measure phase, Six Sigma teams also engage in determining process capability—what the future process might look like. 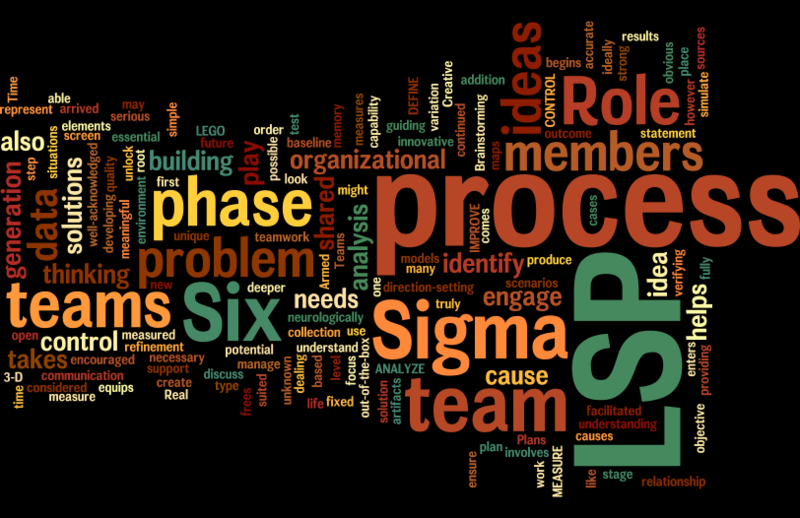 Role of LSP: The relationship between LSP and Six Sigma in this phase is very strong. 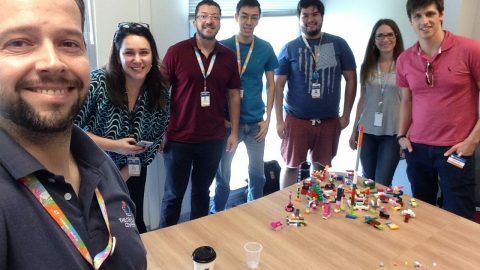 Because LSP involves the use of building physical, 3-D LEGO® artifacts that represent ideas and processes, neurologically, this frees up the working memory of team members for idea generation and innovative thinking. Armed with data and process maps, Six Sigma teams engage in process analysis to identify sources of variation and screen potential causes. Brainstorming and verifying the cause of the problem is the objective of this phase of the process. 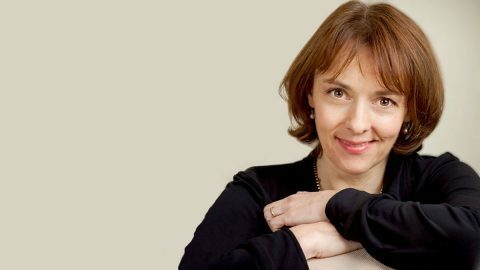 Role of LSP: Three elements are essential to a quality outcome at this phase: all ideas are heard, open dialogue takes place, and a meaningful solution is arrived at. The LSP process is a facilitated thinking, communication, and problem solving technique that takes this type of analysis work to a deeper level in order to fully unlock the insights of all team members. During the improve stage, Six Sigma teams produce as many ideas as possible. Creative idea generation is encouraged as are out-of-the-box solutions. Role of LSP: This is truly where LSP comes to life. By being able to play out situations and test scenarios through serious play building, team members can not only discuss, but simulate new ideas and solutions. Once a team enters the control phase, they focus on how process performance will be measured and what the response plan will be for undesirable results. Plans for continued process refinement are also considered at this time. Role of LSP: LSP helps teams manage control efforts by providing them with a process for dealing with the unknown. Real Time Strategy for Teams® equips team members with simple guiding principles based on their unique organizational environment and needs. I don’t believe that every Six Sigma team needs additional facilitation support. The scope of the project, the experience of the team members, and the complexity of the effort all factor into such a decision. 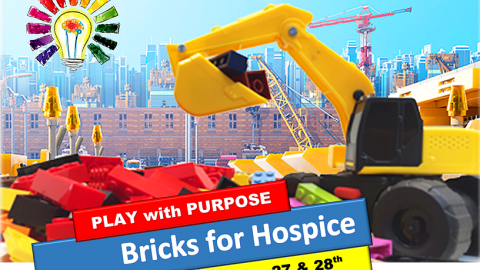 When indicated, however, I do believe that LEGO® SERIOUS PLAY® is a viable and complementary support process to ensure the success of and protect your investment in Six Sigma quality efforts. 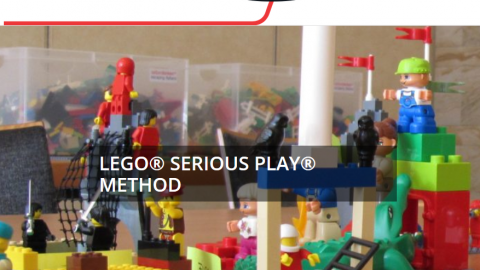 Interesting new website – Thinkon company shows how to put hats on for LEGO Serious Play sessions.